Early in November 2016, the husky was introduced to 10 wolves for entertainment purposes, catching the attention of animal protectors. 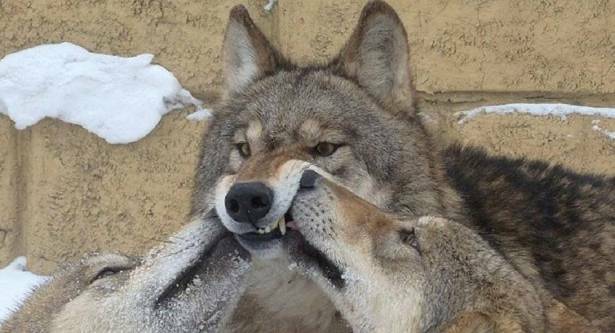 The zoo responded that the dog enjoys great respect amongst the wolves. To some extent, it has become a king, said Li Yanping, a breeder at the zoo. The four-month-old baby wolf pup weighs more than 10 kilograms and looks both like a dog and a wolf. It is still too young to meet visitors, Li added.